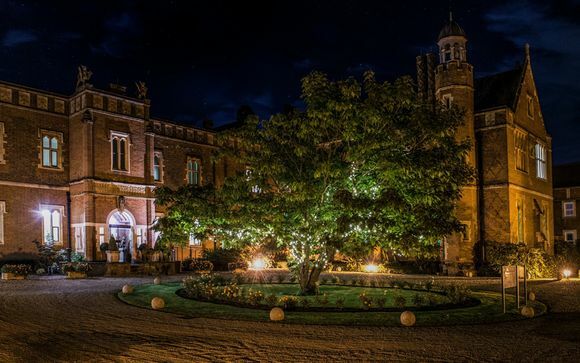 An area of Outstanding Natural Beauty deserves an elegant country manor & De Vere Wotton House definitely provides this! 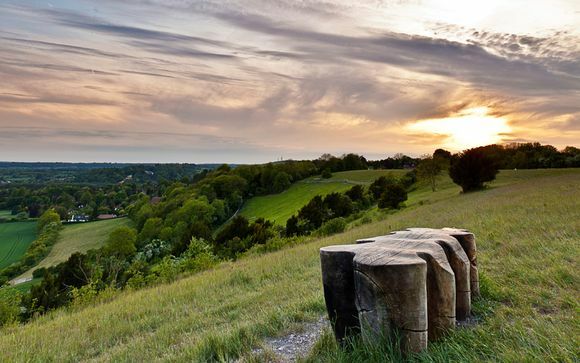 Surrey Hills is a phenomenal location which is perfect for long country walks, picture-perfect villages and cosy pubs. Explore the rolling countryside, vast woodlands and enjoy the green, open spaces that Surrey has to offer. As England's leafiest county you'll discover the Surrey Hills Areas of Outstanding Natural Beauty, complete with the highs of Leith, Box and Holmbury Hills, the natural amphitheatre of Devil's Punchbowl and the expanses of ancient heathland at Witley, Thursley, Frensham and Chobham Commons - to name just a few! Visit picture postcard English villages, glorious gardens, royal palaces and ruined castles, together with beautiful stretches of waterway and opulent stately homes. Alongside Surrey's rich history and heritage you'll also find vibrant market towns with a great mix of shops and a tasty variety of places to eat and drink. An estate like no other, this grade II listed country retreat is an enchanting combination of 17th century elegance, regal furnishings & contemporary twists in every room! The hotel's designers were inspired by the grandeur all around them, combining beautiful original features with hunting motifs and chic designs that really make the most of this impressive space. The 13 acres of gardens that surround it are nothing short of magical. Discover expertly manicured gardens where majestic Italian gardens give way to softly illuminated Roman pavilions, and take some time to stroll amongst centuries old trees, strung with twinkling fairy lights. The hotel's grace and thoughtful design extends to the rooms, each one has been individually designed to produce a chic space for you to unwind in. - Double Guest Room (18m² / max. 3 persons): Fully refurbished, these luxuriously appointed rooms combine the high-tech amenities with an equally modern, sophisticated style. - Superior Double / Twin Room (21m² / max. 2 persons): Unwind in a spacious room. These rooms feature natural finishes, custom details, a flat screen TV, and free WiFi. - Deluxe Double Room (18m² / max. 2 persons): Some of these rooms feature stunning garden views that will sooth the weary traveller. - Junior Suite (35m² / max. 2 persons): Suites at De Vere Wotton House are the epitome of luxury. Located in the historic mansion house, all suites feature views of the sweeping driveway or the magnificent Italian gardens. Please note: the bed for the 3rd guest sharing is likely to be a sofa bed or camp style bed. Dining is at this hotel is a relaxed affair with simple, unfussy yet delicious food on offer. 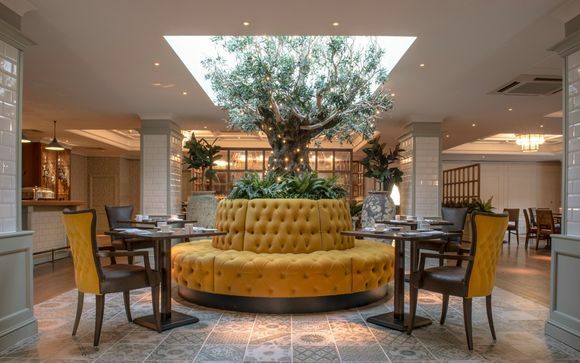 The 1877 Restaurant serves up an inspired menu that consists of modern classics, while British hallmarks such as afternoon tea are served daily in the hotel's graceful lounge. Over at the bar, a range of wines, craft beers and classic cocktails are on offer, along with a menu that includes gourmet burgers and handcrafted pizzas. Your hotel is approximately 15min / 8km from Dorking Station. You will receive an email confirming your booking within the next 48 hours. Please check all details on this confirmation are correct. If there are any discrepancies, please notify us as soon as possible. The airline is ticket-less and therefore, you will not receive any hard copy documents. You will however, receive an email from us detailing your flight information and reference number to enable you to manage your booking online via the airline website. You will also receive an accommodation voucher for presentation at the hotel reception at point of check-in. Please do make sure that you either add Voyage Privé to your Safe Senders list or check your Junk mail regularly for your travel documents. We will send all documents out as early as possible (subject to full payment being received) but you should receive all your documentation at least 10 days prior to departure.